This year’s theme, “GIS – Inspiring What’s Next”, encompasses personal development, organizational advancement and the impact that GIS has on our planet. “What’s Next” looks at how this is an exciting time to be a GIS user, with the expanding computing capacity of the cloud, increased use of mobile technology and sensors for real-time awareness, and the promise of artificial intelligence. 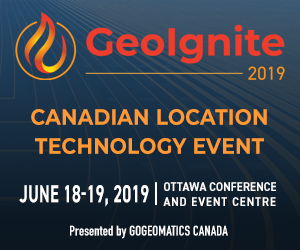 Discover how Canadian organizations are engaging their stakeholders, embracing secure data sharing, adopting various uses of location analytics, integrating real-time data (including 3D data) and seeing how the use of GIS leads to more responsive and effective organizations, and ultimately a more sustainable world. Join us and be inspired by how our GIS community is pushing what’s possible.